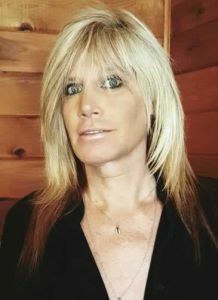 International speaker Jessica Lynn shares about her transgender journey in presentations at 10 a.m. and 6 p.m., Thursday, Oct. 13, at Pensacola State College’s Hagler Auditorium, Building 2, Room 252, on the Pensacola campus. Formerly known as Jeff Butterworth, Jessica Lynn knew from age four that her male birth assignment was not in alignment with her true gender. Today, having lost all parental rights to her 12-year-old son due to gender discrimination, Lynn has dedicated her life to helping others through her own gender journey. In a dynamic and refreshingly honest style, Lynn shares her amazing life story and gives a glimpse into the wonder and confusion of the transgender community. She has been described as a breath of fresh air, unique in her candor, honesty, and humor. To ensure a clear and deep understanding of transgender issues, Lynn follows each presentation with her trademark question and answer session where no Trans subject is off-limits. She travels nationally and internationally to college campuses and other venues lecturing about the necessity for transgender awareness in our society. Lynn is an advocate and professional speaker for Trans* Rights, and also is the president of Your True Gender, a nonprofit organization dedicated to educating the community on Trans* Issues. Lynn’s presentations are sponsored by PSC faculty member Richard Carr and the PSC Black History/ Multicultural Committee. PSC employees attending the presentation may earn Staff and Program Development credits.